This Sunday marks International Women’s Day, and we’d like to take this opportunity to shine a light on some of the inspiring women entrepreneurs that we’ve worked with at Bethnal Green Ventures. At BGV we particularly welcome applications from women. Year on year we’ve seen an increase in the number of women founders on the programme. Yet there’s still room for improvement – of the current cohort 35% of founders are women and 3/10 teams are women led. We think there are three things that will get more skilled women into the tech sector: 1) getting more girls into science, engineering and maths (STEM) subjects, 2) changing the culture around technology startups to be more open to different ways of working and different roles within the sector, and 3) having more women role models who are visible and actively mentoring the next generation. In support of the third point, we’ll be celebrating tonight at International Women’s Day in Tech City, an event run by Alexandra Deschamps-Sonsino, Becky Stewart and Ana Bradley, which will showcase a number of BGV alumni and friends including Birdsong, Fluency, Tech for Good TV and the Civic Shop. Sarah Drummond – launched MyPolice off the back of our first Social Innovation Camp (the predecessor of BGV) in Glasgow in 2009. She runs Snook, a successful service design agency, and is partly responsible for the phenomenon that was Penny in Your Pants. Anna Maybank – helped to set up Social Innovation Camp and Bethnal Green Ventures, and is now co-founder and CEO at Poetica, a tool for collaborating with others and getting feedback on written work. Lily Ash Sakula – also helped to run Social Innovation Camp and set up Bethnal Green Ventures. She’s now taking the Portland comic world by storm. Fran Bennett – CEO and co-founder of Mastodon C, a big data company offering the open source technology platform and the data skills to help organisations unlock the power of all the data they already have, on zero carbon infrastructure. Sue Black and Emma Vallintine – did some great work launching Tech Mums, offering courses and workshops to give mothers tech skills. Samiya Parvez – COO and co-founder of Andiamo, which is using 3D printing and scanning to revolutionise the way that children’s orthotics are made – check out their latest crowdfunding campaign. Laura Fisher and Adrienne Ferguson – co-founded TreePress, an online marketplace and community connecting playwrights with teachers and schools. Natalie Jonk – CEO and founder of Walacea, a crowdfunding platform for scientific research. The latest campaign on LSD research was all over the Guardian, Independent, Sky News and Vice this week. 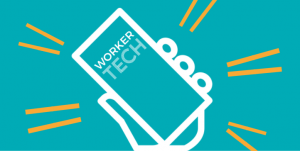 Sinead Mac Manus – CEO and founder of Fluency, a learning platform that gives young people digital skills and connects them with employment opportunities. Laura Willoughby – co-founder and CEO of Club Soda, a movement for people who want to cut down, quite for a bit or stop their drinking. Olivia Comberti – founded Before I Die Network, a peer-to-peer community that helps graduates discover, pursue and achieve goals. Ruba Huleihel, Sarah Beckett and Sophie Slater – founded Birdsong, an online marketplace that supports women’s charities by curating and selling fairer fashion products made by women. Elin Haf Davies – founder and CEO of Aparito, a platform that will utilise wearable technology to improve data collection for children that take part in clinical trials. Monica Rodriguez – co-founder and CEO of ChangeAlert, a warning device which signals when continence pads needs changing. Ilyana Kerr – co-founded See What I Mean, a digital communications tool for people living with dementia. Feeling inspired? 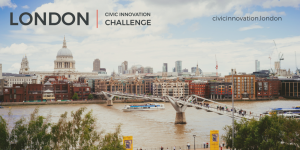 Got an idea for using technology to tackle a big social or environmental problem? 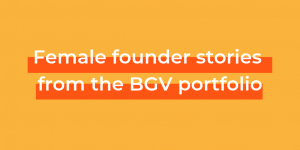 Apply now for BGV Summer 2015 accelerator!